Diagnosing Alzheimer’s Disease: How Is Alzheimer's Disease Diagnosed? You may have noticed some changes in your parent that have left you worried. They seem to be unable to find the words they are searching for when speaking with you. The lost remote control has been found in odd places like the laundry hamper. You find them wandering into rooms and unable to recall what they were headed there for. With the increasing number of people experiencing the effects of Alzheimer’s, this is often a child and parent’s first concern. According to the Alzheimer’s Association, “Someone in the United States develops Alzheimer’s dementia every 66 seconds. By mid-century, someone in the United States will develop the disease every 33 seconds.” If you and your parent are concerned, it’s time to make an appointment with their primary health care provider. An early diagnosis offers the possibility of delaying the progression of this disease as well as offering people the opportunity to participate in clinical trials. The family is able to plan for the future and appreciate the present. How Is Alzheimer’s Disease Diagnosed? Currently, the diagnosis of Alzheimer’s is made through a patient’s and family member’s observations, tests on memory, attention, language, and problem solving as well as laboratory testing. 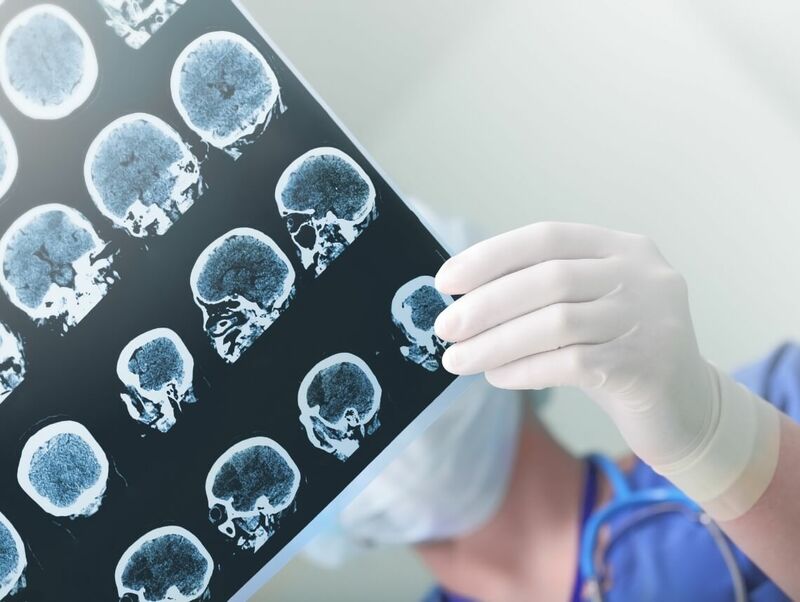 These include blood and urine tests that are used to rule out other disorders and brain-imaging tests, such as MRI and CT scans, that can help distinguish between different types of degenerative brain diseases including Alzheimer’s, brain tumors, and strokes. Scientists are studying possible diagnostic tools that could find the beginning of Alzheimer’s before symptoms appear or are in their very beginning stages. These include PET scans which can detect amyloid plaques and tau—abnormal proteins associated with Alzheimer’s. Another promising area is the development of biomarkers. A biomarker is a measurable substance that indicates a disease process. In addition to brain images, they are being searched for in cerebrospinal fluid and blood. If a diagnosis of Alzheimer’s is made, don’t lose heart. For many, the disease progresses slowly, offering years, if not decades, of quality time with your parent. Remember that scientists are researching possible solutions every day. Hope is a certain antidote to depression and fear. Preparing for the future when your parent will need help with the everyday tasks of living involves getting a caregiving team in place. Reach out to family, friends, neighbors and the community at large. And don’t forget about your home care services provider. These professionals have cared for countless individuals facing this disease, understand the stages involved and have developed tips for communication. It’s a good idea to get them involved in your parent’s life in the early stages of Alzheimer’s disease. They often become your parent’s closest companion during a challenging time of their life. “The time to repair the roof is when the sun is shining.” – John F. Kennedy.